Launching an integrated campaign that gives fans the power to choose their favorite flavor across all channels. How can we create a consumer engagement program that drives velocity for the brand and increases purchase frequency with fans? Making Voting Easy: From virtual reality to banner ads, the DEWcision campaign empowers DEW nation to cast their vote for their favorite flavor across all channels. Rock the Vote: We created shareable content to encourage DEW nation to vote for their favorite flavor. 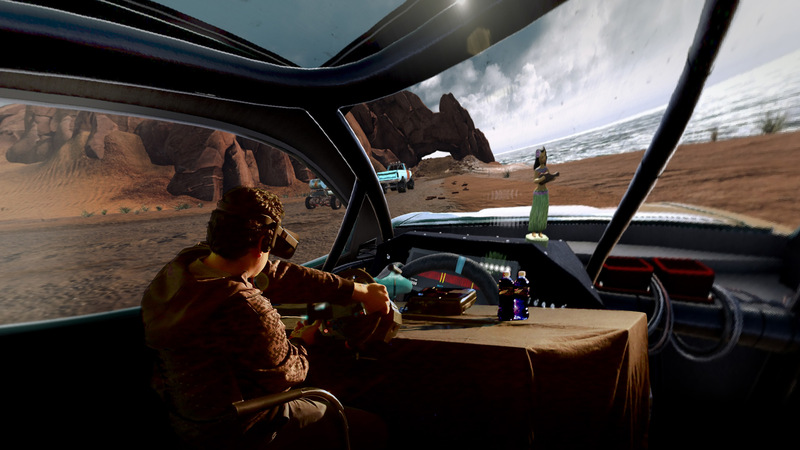 Choose Your Own VR Adventure: We put fans in the virtual driver’s seat to choose their favorite flavor in VR. 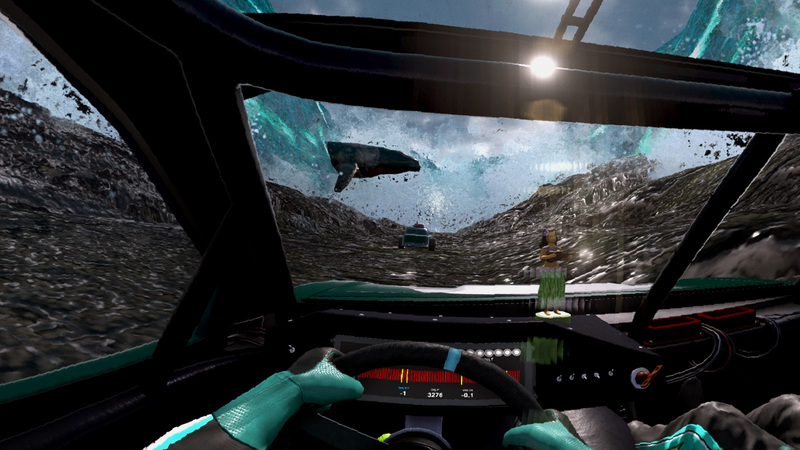 Bullet Time: The virtual track integrates ‘bullet time’ where all of the action is slowed down so the driver can fully explore and embrace the 360-degree environment. 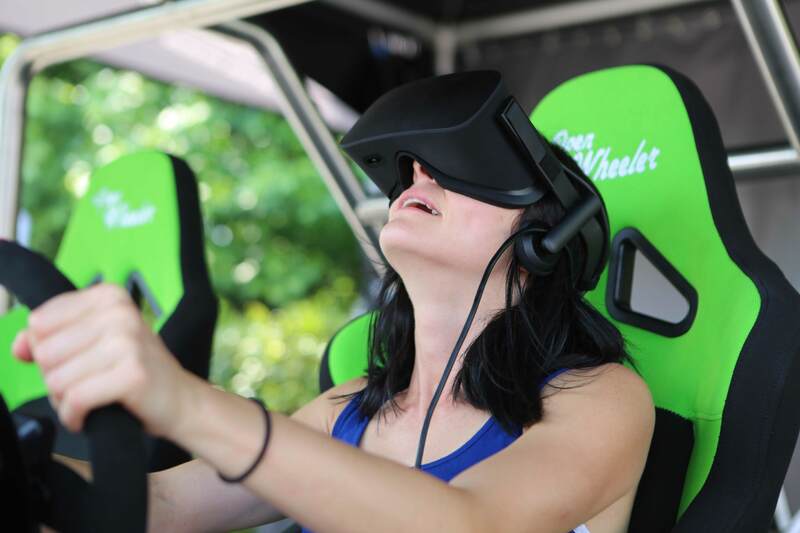 Branded Popups: DEWcision VR racing was shared at events across the nation. Rewarding DEW Super Fans: A handful of lucky fans received campaign materials, including an exclusive campaign video which allowed them to cast their votes early for their favorite flavor. 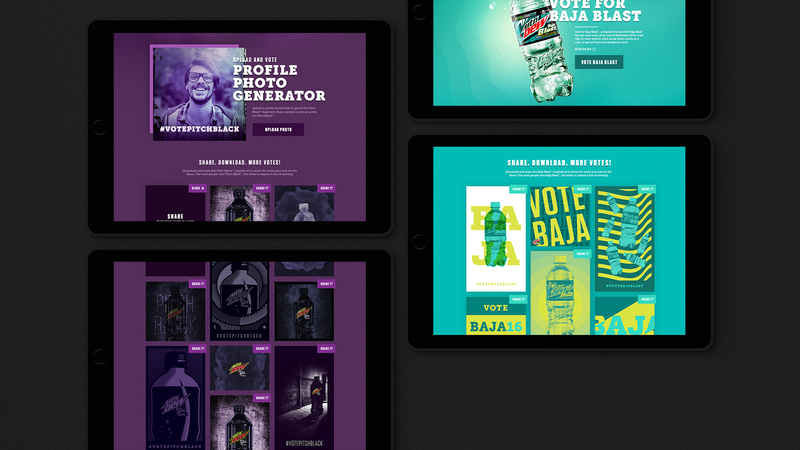 Campaign Central: We built a campaign hub to showcase the two candidate flavors with user-generated content. 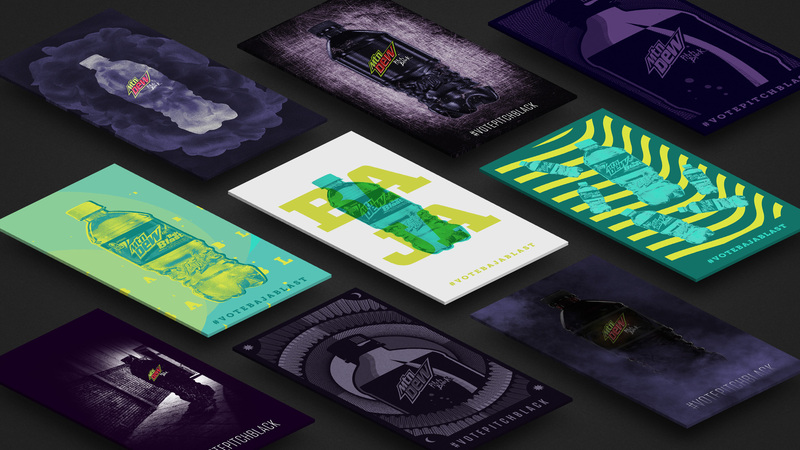 For the brand’s summer campaign, Mountain Dew empowered fans to make their own decision between two legendary DEW flavors. By casting a vote for a limited time between Mtn Dew Baja Blast and Mtn Dew Pitch Black, fans decide which flavor will stay on shelves, and which flavor will go back in the vault. 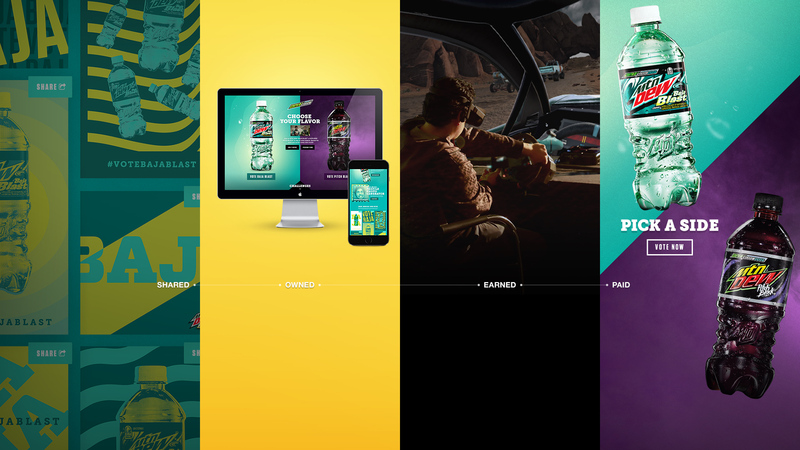 As Mountain Dew’s Digital AOR, Firstborn was charged with creating an integrated, cross-platform strategy that would sustain high consumer engagement over the twelve-week campaign. We brought DEWcision to life by inspiring fans to vote easily online, share their selections across multiple social channels and encourage others to get in on the action. The campaign hub showcases the two candidate flavors with shareable and user-generated content, while exclusive campaign videos let influencers cast their votes early for a head start on points in the program. Rich media banner ads with in-banner voting functionality also helped drive the campaign forward. To anchor DEWcision, we also wanted to leverage an emerging content channel for the brand–virtual reality. We created an interactive VR racing game to give fans a thrill that only Dew can deliver. When viewers put on the VR goggles, they are transported to an immersive racing world powered by Mtn Dew Pitch Black and Mtn Dew Baja Blast, copiloted by their favorite NASCAR drivers: Chase Elliot, Kasey Kahne, and of course, Dale Earnhardt Jr.
Across all channels and touchpoints, the DEWcision 2016 campaign delivered an integrated voting ecosystem that gave DEW nation the power to choose their favorite flavor. We delivered over 5.8M votes for the DEWcision 2016 campaign, as well as over 49M media impressions and 1.5M video views from the VR experience.